This simple yet clever marriage of solid wood and powder-coated metal come together to create a piece that is durable, functional, and modern. 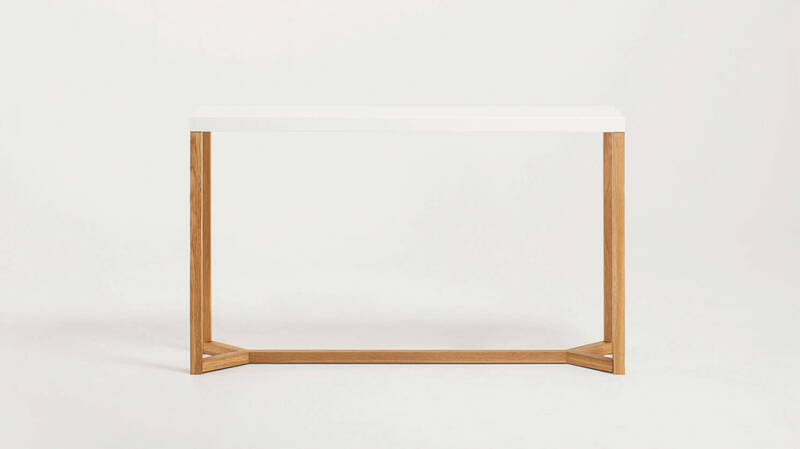 Available in either solid oak and white, solid oak and charcoal, or solid walnut and charcoal, the sturdy, clean design of this console table will add a touch of modern utility to your space. Changes in temperature and humidity may cause cracks to appear on the solid wood shelves - but will not compromise the structural integrity of the product. Please clean with a warm damp cloth.